How it starts… a familiar story? 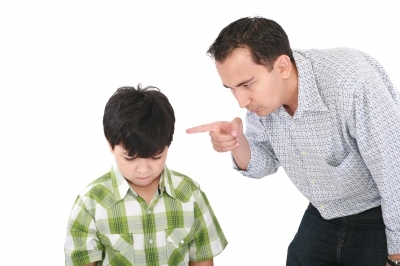 Your child does something you’ve told him not to do. In fact, you’ve him not to do this thing many times before. Frustrated, you snap at your child “how many times do I have to tell you?! Cut that out! !” Maybe you ground them for a year… because time out and losing video game privileges hasn’t helped. Maybe you start ranting like a crazy person about how the child is irresponsible, disrespectful, etc. Maybe you even engage in corporal punishment with a spanking. Then, you look at yourself and how you are acting. You realize that should things go any further, there’s going to be a visit from child protective services in your near future. Your kid is in all likelihood experiencing a full on meltdown by this stage. You are too. You feel helpless to get your child to listen and you don’t know what else to do. Welcome to the punishment spiral. As a parent, I’ve been there…. more than once. In fact, it’s at this stage that many parents seek out my counseling services. They’ve gotten stuck in a repeating cycle of punishing “bad behaviors”, the child getting “used” to the punishment, and then having to escalate the punishments to maintain their effectiveness. The end result, like those Bugs Bunny cartoons where he and Marvin Martian get bigger and bigger weapons until they are ready to blow up the moon with their planet busting bombs, is that things get quickly out of control. Thankfully, with a little knowledge and planning, this situation can be changed for the better. First off, it’s important to note the difference between punishment and reinforcement. From a technical point of view, punishment is anything that happens after a behavior that decreases the chances of seeing that behavior in the future. Reinforcement is anything that happens after a behavior that increases the chances of seeing that behavior in the future. Thus, for practical purposes, when you deliver a consequence with the goal of trying to get your child to stop or decrease a behavior you are technically punishing him. This also means that your intent is less important than the outcome. You might intend something to be reinforcing or but unless it increases the behavior it is not a reinforce. Also, if it goes so far as to decrease a behavior, your reinforcer is actually a punisher. Here’s the thing bout punishment. It works, and it tends to work fast. It’s also the cultural norm in western society. However, there is a cost to using punishers. They tend to leave both the person delivering the punishment and the person receiving it feeling poorly. Over use of punishers strains and damages relationships. They only teach a child what not to do in a specific situation…. thus you need to punish every possible behavior that you don’t want to see if you go strictly with punishment as a consequence. Punishment only works when the threat of punishment is imminent (the child knows they will get caught right then). Finally, kids tend to get used to punishment so they lose effectiveness over time. This leads to the need to escalate punishments. Over time, this can quickly get out of hand, leading to a punishment spiral. Personally, I tend to prefer using reinforcement strategies when I deliver consequences. Reinforcers really teach your child what you want them to do and thus eliminate most other possible outcomes you don’t want to see. For example, I can punish my child every time he hits. He might stop hitting, but he can kick,he can bite, etc. If I teach my child to use gentle hands and feet or something along those lines…I’m focusing on rewarding the behavior I want to see and this basically gives no incentive to engage in all those other negative behaviors. Giving rewards ends to make the recipients feel more kindly and connected to you. The downside with reinforcement strategies is that they often take a little bit longer and require a little more finesse. You might have to teach a behavior or skill as you start to reinforce it. You have to stop reinforcing the negative behaviors… and this might mean changing parenting tactics. Also, a lot of parents often feel that reinforcement strategies look a lot like bribery. The thing is, bribery is a money given to someone as an incentive to engage in illegal or illicit behavior. It’s given BEFORE the behavior (so is not reinforcement) and I don’t know about you, but I’m not rewarding my kids for doing illegal and illicit things. Just keep the big picture in mind. We want our kids to learn how to behave “properly.” If a system of rewards will help them be motivated to behave, then that’s a good thing. Over time, extrinsic rewards (money, toys, food, etc.) give way to intrinsic rewards (praise, doing it because it’s the right thing to do and it feels good) as the child grows and matures. What to do if you find yourself in a punishment spiral with your kids? How do you get them to listen without killing a child? First, take a deep breath. Second, it’s simply time for a reset. Look at the behavior and try to figure out what your child is getting from it. Whatever that is, we need to provide that to your child, but only for displaying the behavior you want to see. Once you’ve figured that out, you need to set the stage to elicit and reward those desired behaviors. There are some assumptions that go along with this. First, if your child is struggling with behaviors around certain items or activities (I often hear this in reference to computers and video games) then he is not competent or ready to handle the responsibility and privilege for access to that item or activity. Access needs to be eliminated or cut back to something more manageable until your child has demonstrated the skills and competency to handle that situation. The next assumption is that you, as a parent, have everything that the child wants and the child has absolutely nothing you want (thank you to Terry Levy and Michael Orlans for that concept!). This means that everything you child takes as a given (video games, TV, etc..) is a privilege you ALLOW them. That xbox isn’t your child’s…you paid for it. You paid for the electricity to run it. You pay for the wifi for it to connect to the internet. When your child gets to play it… it’s because you are choosing to let them do it. Your child should only have access to privileges that they have demonstrated the ability to manage. So, if your child won’t do their chores because they are busy playing video games or get irritable or angry and act out around access to video games, then they are clearly not ready to handle the responsibility of video games. So, to avoid going into a punishment spiral (which often starts with taking away “stuff” after kid acts out), we simply restrict access to activities to only those things the child can manage. Give the child access to a limited number of activities and then as the child demonstrates responsible behavior over time (weeks and months… not hours and days), gradually add more privileges. Add privileges slowly. For example, don’t just give free access to the video games. Maybe give them 10 minutes a day to a select few games (if they do their chores and get homework done). Do not add privileges until you, as a parent, are dead certain your child will be able to manage it responsibly. Don’t let your child guilt you with the “my friends get to do it” card. Your child is not his or her friends. Your child will hate this at first, but will generally show improved behaviors very quickly under these boundaries. By focusing on earning privileges for demonstrating positive behaviors and adding privileges slowly… you focus on looking for positive behaviors, rewarding instead of punishing, and you are teaching your child what to do (rather than what not to do). I hope these tips help you live more harmoniously with your kids. If you have further questions or would like to schedule a consultation, please feel free to contact me at erikyounglpc@verizon.net or call me at 484-693-0582.